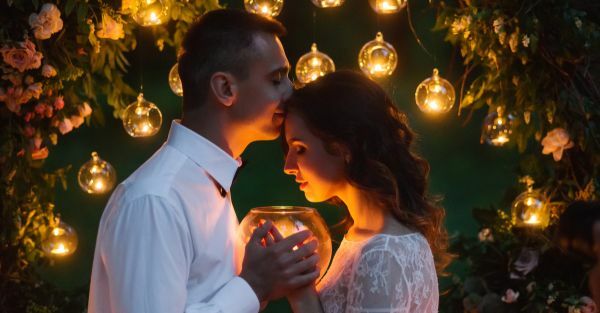 A person’s birth number can give you many insights into his personality and this is useful information, especially if you’re thinking of spending a lifetime with him. Do not leave your future to any chance, then, and let the numbers speak to you of the kind of husband he will make. Psst! Numerology helps in revealing the general characteristics of someone’s personality – their many strengths and flaws. However, each person is different and his/her personality is shaped and influenced by his social, economic and financial situation too. Let’s bear this in mind while we try to match the following traits with our special someone. Yes? Just like the number his birth date adds up to, he too likes to remain ‘number one’ or at the top in everything he does. Such men are ambitious and motivated and appreciate similar qualities in their partners. As husbands, they want their partners to have an identity of their own. They are kind and affectionate and easy to live with, though they might get irked if things are not in their proper place or schedules are not followed. They often make for the kind of husbands who push their partners to chase after their dreams and make them all come true. These men like the quiet family life, as much, if not more than the world beyond. As husbands, they love the comforts of a domestic life and hardly complain about the freedom that singles enjoy, like other married men tend to. They may take a little while to open up to their wife’s clan, but once they do, they soon become a fav with her fam too. Sometimes, though, they may get a bit too comfortable at home and have to be dragged off their couches. But, they’re usually gentle, sensitive and caring and make for compatible partners. Commanding and courageous – these are the highlighting traits of men born with number three, as their birth dates. They often have a vision in life and strive with all that they have to achieve it. In the pursuit of their dream, they expect their life partner to match their step and not fall behind. They are good listeners and great advisors and very systematic in their approach towards everything, but can get disappointed in their partners if they fail to match their energy. It’s only natural, then, that they get attracted towards women who are charming and confident. These men are reserved in nature and often emotional, as well. As husbands, expect them to be extremely kind and sensitive towards their partners. However, their habit of not speaking much can at times land them into trouble and make them seem passive and aloof. However, they’re willing to do whatever it takes to keep their partners happy and that’s what happy marriages are all about, right? Not all men you meet will make you feel lucky to have them by your side. Men born under these birth dates are amongst the rare few. They make for excellent husbands, who sprinkle their married life with generous dose of love and adventure. They’re fun to be with and often make many friends, wherever they go. They’re witty and charismatic and you’ll never have to worry about keeping the spark alive in your relationship with them. These men will make great husbands, yes, but they’ll make even better fathers. They are extremely generous and responsible and understand their duties towards their family and never falter or slacken in them. They are cheerful and build strong and lasting relationships in their lives. They often make for extremely devoted husbands whose loyalties lie with just one woman – their wives. These men are optimistic and easy-going. They have a taste for all good things in life and break away from work often to enjoy a good movie or a book. They have an opinion of their own on all things, but never try to superimpose it on others. As husbands, they tend to respect their wife’s decisions and let her live her life the way she wants to. They make for fun life partners to grow old with. These men are practical and strong-willed and do not show their emotions too often. Most of them settle down late in their lives only after realising their dreams. As husbands, they want their partners to be equally devoted towards their own profession, apart from their shared life together. They are confident and intelligent and even though sometimes they may take time to express their love for you – it’s worth the wait. These men aspire for and wish to live the good life. They’re the boss of themselves and can’t be told what to do. As husbands, they tend to set high standards for themselves and their family and get annoyed if things don’t go their way. However, they are protective of their loved ones and are known for doing whatever it takes to make them happy. Isn’t that the magic ingredient of all healthy couples?